Keep your special loved ones pride of place forever! 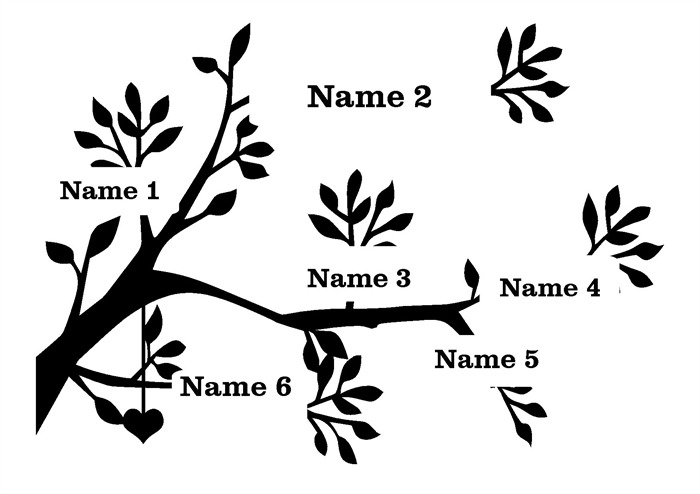 I will lovingly design and cut this family tree branch just for you and your special people. Just let me know the names you want included. I can fit up to 6 names on this branch. Please put names and position (see photo) in message to seller. This piece is cut from a single piece of A4 cardstock in white but other colours can be chosen, just ask. It comes framed in a white, black or light wood shelf standing floating glass frame (11" x 13") (A hanger can be attached to the back if you prefer wall hanging, just make a note at checkout).